Are we at peak kiwi Sauvignon? It feels like we might be; zippy, aromatic Marlborough Sauvignon has been synonymous with "a glass of white" for many people for decades now. It has gone from upstart, to establishment to middle of the road; so in, it's out. What you make of all this depends rather on how you view life - hipster early adopters are all into funky (in every sense) natural wines now while the late majority can continue to enjoy something more mainstream. Set aside personal characteristics for a moment and we can address the central question of whether this is a good wine or not. Here the answer is easy - it is good and good value; a well-made, typical, easily available kiwi Sauvignon with a cool-climate restraint and European food-friendliness. If you need any further proof, the winemaker behind it is Saint Clair Family Estate, a regular medal winner. 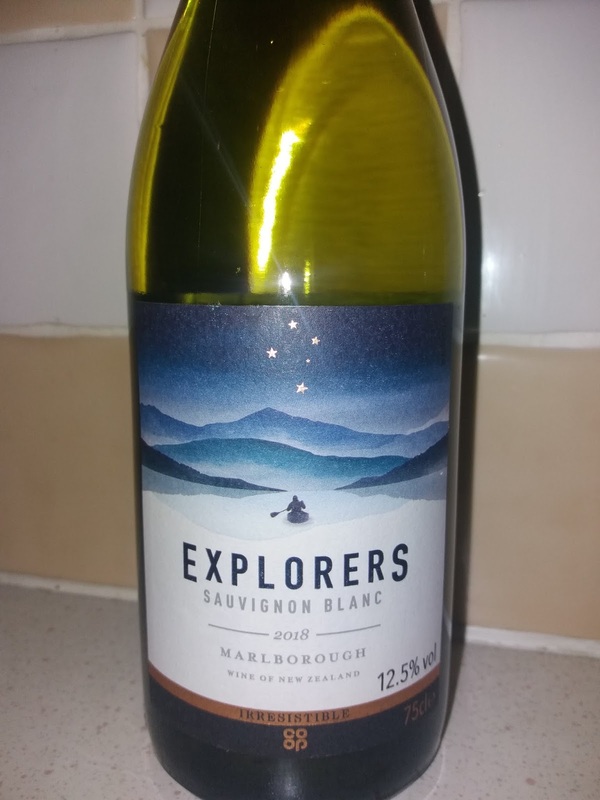 Co-op Irresistible Explorers Sauvignon Blanc 2018 (£7.50, The Co-op) aromatic and fresh with some cool climate steeliness; zippy lime, white stone fruit, white pepper, honeysuckle, cut grass and saline minerality with good underpinnings. Well-made. Drink as an aperitif or match with goat's cheese or white fish dishes, such as cod with a herb broth.